@frances_coppola @wonkmonk_ He depresses Fed Funds to ZLB, and when using QE raises short term bond rates. Two separate interest rates. I haven't fitted a trend line to this, but I think it is obvious. There is a clear downwards trend from 2008 to 2013. The peaks that Seeking Alpha attribute to QE don't change the trend. So QE does not cause permanent increases in bond yields. So if the point of QE is to raise inflation expectations and thereby change the path of future nominal interest rates, it has been a spectacular failure. The declared intention of the programs has been to lower the market yields (and hence to raise the prices) of longer-term bonds (not necessarily limited to the particular types purchased by the Fed), with a view to easing the terms on which credit is available to both households and ﬁrms in the US. Their eﬀectiveness in this regard is a matter of considerable debate. But this should not necessarily be attributed solely to the Fed’s purchases of longer-term securities over this period; the period is one in which a continuing series of bad news has progressively increased the likelihood that market participants are likely to attach to the possibility of a protracted period of feeble economic growth and low inﬂation (or even deﬂation), and of course the FOMC has progressively extended farther into the future the length of the period for which it anticipates keeping its funds rate target in a band just above zero. Hence it is plausible to suppose that expectations regarding the length of time that short-term interest rates are likely to remain low have generally increased since the fall of 2008 (when it was not yet even obvious that the zero lower bound would be reached). In other words the principal influence on bond yields is not inflation expectations but the anticipated path of short-term interest rates as indicated by Fed statements and behaviour. Longer-term bond yields are on the floor because the Fed is indicating that short-term interest rates will remain near zero for the foreseeable future. Unbounded QE supports this policy stance and therefore helps to keep bond yields low: to the extent that it raises inflation expectations, the effect is weak and short-lived. This is rather in contrast to my monetarist friend's view of the same paper. He claimed that Woodford was arguing for increased QE in order to raise the future path of nominal interest rates. This is frankly baffling. Why on earth would the Fed do QE to raise the future path of nominal interest rates at the same time as signalling that those same interest rates would remain on the floor for the foreseeable future? Surely QE is intended to support the monetary policy stance, not contradict it? But then, as I noted at the start of this post, my monetarist friend doesn't think short-term interest rates and bond yields are related. Unfortunately that is not what Woodford says, and Woodford's evidence is considerable. And the relationship Woodford identifies between short-term interest rates and government bond yields makes logical sense, too. At the shorter end, government bonds and interest-bearing cash deposits are substitutes. At present interest rates on cash deposits are effectively zero, and the Fed is indicating that those rates will remain at or near zero for several years to come. Expectations of interest rates above zero are therefore moving out to the long end, pushing down bond yields along the curve. Really what Woodford is saying that the main channel through which the central bank influences market rates is signalling ("expectations"), and that policy tools such as QE support this channel rather than being alternatives to it. Communication is everything - which explains the emphasis that Mark Carney placed on it at Davos. In fact Woodford's paper does not argue for unbounded QE to raise expectations of future interest rates at all. What Woodford DOES argue for is unbounded QE as a policy tool to support a central bank NGDP target. This is because of his concern that inflation targeting actually contradicts the aims of low interest rate policy: it is not credible simultaneously to indicate that interest rates will remain low indefinitely AND commit to an inflation target. Confused signals like this undermine monetary policy and render it ineffective. However, it seems to me that the Fed is being somewhat flexible in the interpretation of its inflation target anyway: it appears to have shifted the emphasis to reaching full employment. "A more logical policy would rely on a combination of commitment to a clear target criterion to guide future decisions about interest-rate policy with immediate policy actions that should stimulate spending immediately without relying too much on expectational channels. Neither a program of expanding the supply of bank reserves nor a program of expanding the central bank’s holdings of longer-term Treasury securities is a good example of the latter kind of policy..."
"The most obvious source of a boost to current aggregate demand that would not depend solely on expectational channels is ﬁscal stimulus — whether through an increase in government purchases, tax incentives for current expenditure such as an investment tax credit, or subsidies for lending like the FLS...."
For some reason, with all the hoo-hah there was at the time about Woodford's support for NGDP targeting, this "heresy" was completely overlooked. Woodford is hardly a monetary hawk. Because the UK's financial sector is severely damaged and the direction of regulatory change is unsupportive, I am not convinced that the FLS scheme will be all that effective: I suspect it will further inflate an already overblown housing market rather than improving business finance, which is what is really needed. But Woodford is right that it is the first serious example of coordinated monetary and fiscal policy, and right to indicate - as many others have - that fiscal policy is the key to ending the current stagnation. Monetary policy has not completely run out of steam yet, and we certainly haven't seen the last of QE. But if you want a bazooka, look to the fiscal side. UPDATE. Since most of the comments so far have homed in on the temporary yield hikes rather than the long-term trend, I thought I would add my views on those hikes. Temporary hikes that don't affect the long-term trend would normally be regarded as "noise", but in this case they do seem to be aligned with QE on/off. However, they are clearly mispricing, since they don't affect the long-term trend. There is no way they can be regarded as indicating that QE is INTENDED to raise yields. It is an anomalous effect. Whether the cause is carry capture strategies due to raised inflation expectations, as Izabella Kaminska suggests, or Michael Sankowski's idea that traders are bringing forward purchases to benefit from guaranteed sale and high prices, the raised yields can only be a temporary phenomenon and are bound to unwind over time. Neither QE1 nor QE2 was really long enough for the mispricing to unwind. Please see this post as an alternative explanation of the reason QE causes yields to rise. I call it the "Cash for Clunkers" rally. 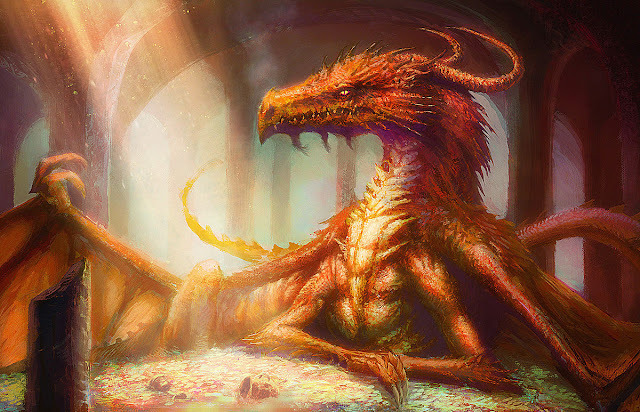 I was the traders crucible in a prior life. That's interesting. In the original version of this post I suggested that traders were front-running QE and selling treasuries that they had intended to hold, because of the reserve spikes on announcement of both QE1 and QE2. I took that comment out because I was more interested in discussing the relationship of bond yields to interest rates over the longer term. However, it's not a million miles removed from your idea. Maybe I should have left that comment in. Well done, Frances, you solved the financial crisis! Fiscal side, indeed. Relieve it by incentivising the richest on Earth to privately finance your welfare-State. Great post. Shows market monetarists are missing the forest for the market-reaction trees. Greek Tax Tzar: "I Have Difficulty Paying Property Taxes"
Instead of trying to beat France, why doesn't the City try to beat the Cayman Islands? That's 1 quick way to pay off the public debt! Just imagine B, Johnson on the front page of all the newspapers in the world. Imagine the capital flight into the UK. Dear me, it almost seems too simple. In the absence of unconventional monetary policy i.e. central bank buying assets further out than 5-yr along the yield curve, which is the only difference between QE and conventional monetary policy. Long-term interest rates are market determined. However, the long-term rate is a prediction of future short-term rates, which are set by the CB. It makes very little sense for him to say that the LTR has no relation to CB policy rates when they are market predictions of what in the future the CB will do. Inducing higher inflation expectations should raise nominal yields and reduce the real interest rates. I think he is confusing nominal with real. What the charts suggest to me with QE, is that when the CB has been conducting QE operations ( a flow ) marginal risk-averse investors have been squeezed out of the market towards more risk assets. Therefore, contrary to the impression the media gave about reducing interest rates, nominal yields rose during the flow. However, it has not been enough to squeeze more risk-averse investors out of the government debt markets because real interest rates are still too high. Therefore, we don't get a sustained recovery with interest rates rising because the risk-averse are still parked holding the stock of debt. To be blunt we need to burn the risk-averse until they basically stop being risk-averse. That is also why there has been no spikes in interest rates when various QEs have ended, although some people predicted and bet on that happening. Another thing to consider why inducing higher inflation expectations will increase LT nominal bond yields is the yield curve is positively sloped. 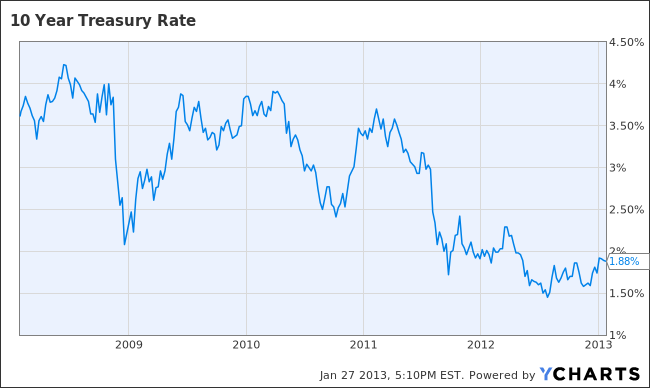 Short-term rates can't go any lower but they can increase. Since the LT is a prediction of the ST, credibly increasing inflation brings forward the day when the CB will raise the short-term rate. If that prospect fades the CB expectations channel is failing. There is no material difference between QE and conventional monetary policy, Richard. It's just a glitch, but you know all about the Butterfly Effect I am sure ;) Great movie, I hear! Depend how you are defining material, Alister. CB does not conventionally buy that far out the yield curve. Buying long-bonds exposes their balance sheet to interest rate risk. Moreover, buying long bonds reduces the longs in public hands so does make a material difference to private sector portfolio balances. Definitions are without a shadow of a doubt the key point for everyone to learn about, but I trust you obviously already realise this now. After all definitions are the guardians of rationality, the first line of defense against the chaos of mental disintegration. PS Frances, see the very last comment on Aziz's latest blog, regarding you, absolutely no ill will intended, just so happens that there's productivity to be had from your two different approaches to similar subjects. I haven't the faintest idea what that comment on Aziz's blog is about. All that commenter did was quote a paragraph from me, out of context and ignoring the (considerable) further debate in the comments on that post, juxtaposed with an equally out-of-context paragraph from someone else about people who write about politics and call it economics - which is NOT what I do. My comments about taxes in that post have nothing to do with politics and everything to do with the way money works. I haven't written a great deal about this yet but I will do. Taxes are not what you think they are. I'm well aware of your political opinions about taxes, and as you already know I have serious reservations about them. Telling me I haven't understood and posting YET another link to "educate" me is patronising. Either explain yourself properly, or shut up. Not called the key to science for no reason! "Depressing Fed Funds to ZLB" and pushing QE through to slash longer-dated yields: two separate rates - think all can agree that is beyond dispute! - but strategically they are of-a-piece. Suggesting otherwise is at loggerheads with everything the FOMC has said - together and severally - over the past 4.5 years. The relative efficacy of Fed policy is rather complicated in this instance, the pieces of machinery inside the black box of applied monetary policy many: consider the effects of their communication policy and moral suasion; and then MBS and UST LSAP: how much is purchased (and/or sold, in the case of OpTwist), the changing composition and duration of the Fed's portfolio, etc. However, that the Fed has accomplished its stated intent - cratering yields, rising asset prices - is indisputable. I'd add that the marginal utility of successive rounds of QE has diminished considerably: whether the intent is to raise yields short-term or lower them medium-term (or both, though there's nothing to suggest that's the FOMC's intent). Not all QE rounds have been created alike - quite to the contrary - so there is no static policy baseline and thus no easy answer to why this is the case. 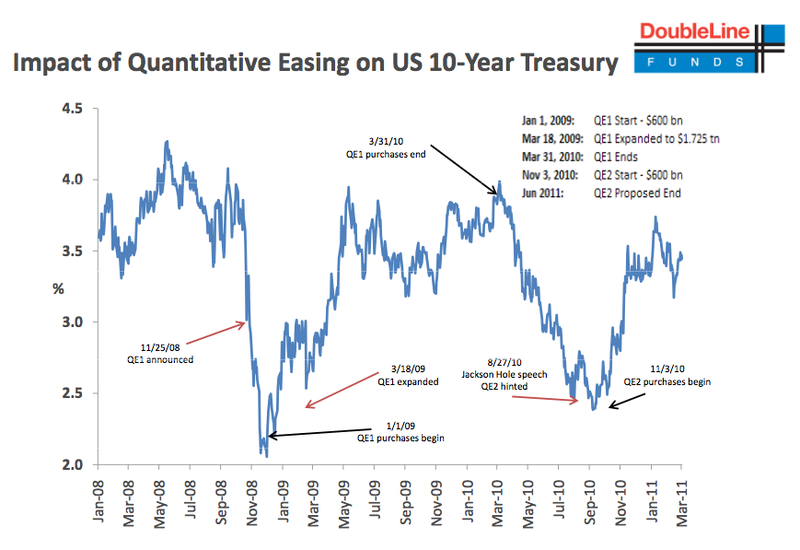 As UST med-to-long dated UST yields move toward zero it's readily evident rate plasticity and thus QE's potency is reduced; but there are many additional variables at play. Whatever the precise reasons, the outcome is clear: as Frances intimates, the era of the Bazooka is over. For the QE to put a downward pressure on bond yields something is required to avoid financial outflows since, as far as I know,the US financial market is not isolated from the rest of the world. This is the euro crisis who played that role, by causing a strong demand for dollars and US treasuries from foreigners at the same time the Fed was doing the QE. Without the euro crisis, the US bond market would have suffered financial outflows causing the dollar to fall and long term bond yields to jump ( which indeed did occured in mid-2009 ). Great post. I thought I'd better come on here and explain what I was trying to say. It may be more clear when I'm not limited to 140 characters (although having typed this, it may be too many characters - sorry if it's a bore to read!). I will preface all of this by saying I took another look at Woodford's paper, and realised that you are right. He said that the QE program Bernanke has run seems to have faced diminishing returns to flattening the yield curve. I think I took it as implicit from this that to get the result Bernanke is looking for, Woodford was arguing that he would need to do continuous (even accelerating) QE to 'communicate' his intent to ease monetary policy. Mea Culpa. But, Woodford seems content to use specific forward guidance about interest rates with policy thresholds as communication in conjunction with QE (Section 1.2.2). He does not believe as Sumner does that NGDP targeting would be better (he notes some models show welfare losses for NGDP targeting that are worse than those for gap-adjusted price level targets (p46)). I will note that he seems to support the ongoing program of QE Bernanke is doing as long as it is done with clearer and more specific forward guidance. In sum, Woodford thinks communication is the key, although he is not specifically opposed to QE as policy. I think I am being fair. What motivated me to start this discussion was something specific in the first tweet I replied to. You said that QE was contractionary. I found this difficult to reconcile with any of the literature. After looking in more detail at Woodford's paper, I know that he thinks that they face some diminishing returns contingent on how they are used, but certainly does not think they are contractionary. I haven't seen a model where they are contractionary. I find it hard to believe that Bernanke would be using them, or would advocate their use to the BoJ if they were contractionary (I know this is an appeal to incredulity, but I do have a very high opinion of Bernanke). Simply printing Fed liabilities and throwing it out of helicopters would not be contractionary (I'm sure you agree?). So while you might argue that supplying cash to the financial sector in a swap of assets may alter liquidity preferences, may move investors at the margin out of bonds, may alter the flow of funds, may just be 'credit policy' (as some NKs have argued), I don't see how you can say that they are contractionary. These financial sector effects may act to nullify some of the effects of QE, but certainly don't make it work in the opposite direction. I don't think QE had a contractionary effect on growth in 2009 when rapid US deflation was stabilised by the fourth quarter of 2009 by QE1. I don't think QE had a contractionary effect in 2010, when US core inflation slipped to 0.6%, and rapidly moved up towards 2% in the months after Bernanke announced QE2 (I can replicate this data on FRED if you like). So my strong feeling about QE and other unconventional monetary policy instruments is what drove me to respond. I think we are closer to each other's opinion than our twitter argument suggests. Continued in the next comment! On the topic of nominal interest rates, I will quote Milton Friedman in 1998. "Low interest rates are generally a sign that money has been tight, as in Japan; high interest rates, that money has been easy." I was clumsy on twitter and basically said that Bernanke was trying to raise nominal interest rates with QE. It is true that the intended goal of QE is not to raise nominal interest rate. I know that I came across as saying this, and I apologise because it's not what I meant to say. It's related, but it's one step removed from the truth. Again, mea culpa. The effect of easy money is to raise nominal interest rates, just as Milton says above. Imagine that the Fed was controlled by a madman, and promised (credibly, as only a madman could do) to leave interest rates at 0 forever. As the recovery picked up, and inflation increased more and more rapidly, up to levels of the 1970s and beyond, nominal interest rates on Treasury Bonds would rise rapidly, just as they did in the 1970s. So the effect of such reckless loose money policy would be to raise nominal interest rates on bonds. This is what I was trying to get across. If monetary policy easing is going to work, it should raise nominal interest rates on treasury bonds. The current program of QE (ongoing monetary policy easing) seems to be improving the US economy (dramatically if you believe yesterday's durable goods numbers), and with it 10 year Treasury yields are rising, almost to 2%. 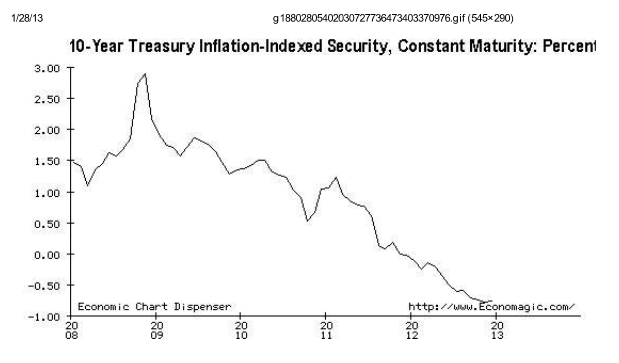 The collapse in nominal interest rates on Treasuries from 2008 onward is a sign of tight money (and also investors looking for save assets, and also deflation fears, but those are all associated with tight money). As a program of QE is announced, the market's expectation of monetary policy changes to be easier, and thus nominal rates rise. Investors expect future economic conditions to improve, so investors at the margin move from Treasuries to other investments, lowering their price (increasing their yield etc etc). We would not expect nominal interest rates to stay at the higher level after a program of QE is finished, because stopping a program of QE is a tightening of monetary policy. The *level* of asset purchases does not matter, it is their rate of change. 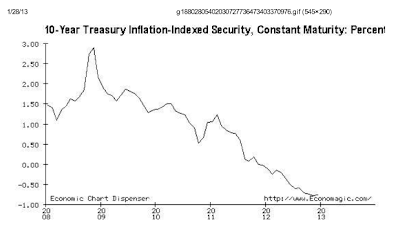 A change in the rate of asset purchases is a change in monetary policy, so when they are no longer bought (after the program ends), then money is effectively tightened, leading to the fall in nominal interest rates on Treasury bonds, from tighter monetary policy, just as Milton argued, and that we view in the data. This is why Bernanke's current program of QE does not have an end date. He is communicating that he will not tighten until macroeconomic conditions indicate he should, and that he will not tighten on some arbitrary date like he did when QE1 and 2 ended. I think Woodford would approve. Calling what happened to Treasury yields when QE was announced and when the programs ended 'anomalous' is arguing in a long, long chain of coincidences. For me, that strains credulity, although I know that the interfluidity links you posted have attempted an explanation. At this point I still agree with Milton Friedman, but I try to keep an open mind. I appreciate the conversation, this has made me think long and hard. Hope I have been clear enough in my post! I think we are more on the same page now. Woodford's paper is really all about the importance of forward guidance. The lack of it, and the confused signals given by central banks (as I mentioned in the post) makes monetary policy pretty ineffective whatever tools are used. For example, if the market is led to believe rate cuts are very temporary, Ricardian effects will apply, negating the effect of the rate cut (yes I know we are talking about rates not taxes, but actually the two are the same, as I shall explain in a subsequent post). Similarly with QE: if the market believes that QE is short-lived, it will force treasury sales forward into the QE period, QE may also encourage sales of treasuries that would not otherwise have been sold. And with both temporary rate cuts and QE there will be attempts to arbitrage the rate differences. The result is rather a lot of "noise" - as the chart shows. So whatever effect QE is intended to have gets lost in all the noise. In addition to yours, I've seen four explanations of the QE yield rises so far, all different and all equally plausible. My point is that they are temporary - they only hold for the period of active purchases - and they do not affect the long-term trend. Therefore they amount to mispricing and the logical conclusion is that QE actually has no real effect. I am not the only person who thinks QE is (mildly) contractionary. Have a look at the comments on the interfluidity posts. If QE really does depress yields on treasuries, then there is a small contractionary effect in the real economy because of reduced returns to people on fixed incomes. These people really have suffered a fall in their incomes and probably have cut spending because of it - which is a hit to aggregate demand. However, if Woodford is correct that the downward trend on yields is due to expectations of future interest rates, then this mild contractionary effect is not due to QE. But I am unconvinced. Shortages of safe assets would force down yields, and QE makes existing shortages worse unless the fiscal authorities sterilise it by issuing more debt. This further supports my argument that the QE-related yield rises are noise and the real effect if any is downward. I also don't agree that stopping QE is tightening monetary policy, unless you regard the absence of active easing as tightening. Tightening would be reverse QE - actively selling the purchased securities back into the market to drain excess reserves. That isn't happening. Sorry Ben, one further point. And this is a big one. Friedman was writing in a world in which cash was mostly physical and did not bear interest. We have a very different world now. Most cash is electronic and bears interest. Under those circumstances (and indeed in a Keynesian liquidity trap anyway) cash and short-dated interest-bearing debt are substitutes. Swapping one for the other cannot possibly be expansionary in the sense that Friedman meant it. Yes, we have more monetary base, which is the reserves used by the regulated banking system and the cash still being used by the real economy (though even there most cash is electronic). 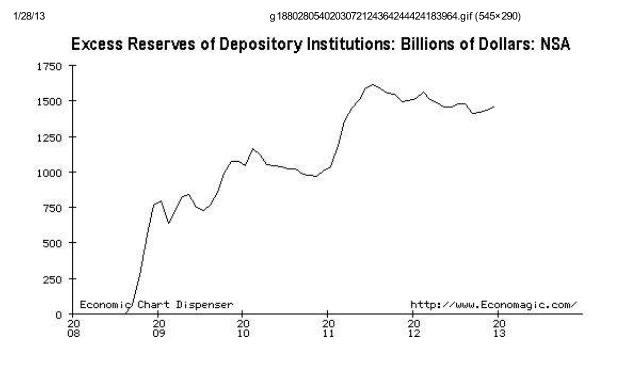 But we have less government debt in circulation, which is the "reserve asset" used by non-banks. The result of removing government debt from circulation is therefore to encourage movement of deposits from non-banks to banks. Having said that, there were already safe asset shortages anyway due to rejection of MBS as a safe asset and regulatory changes requiring banks and non-banks to hold more safe assets. QE's effect is probably pretty small. Central banks find it more challenging to send (and receive) signals (i.e. prices) over the medium-longer terms according to their initial intentions because their aims are (necessarily) so vast and all-encompassing, rubbing up against the relative realistic principle of 'the division of labour'. 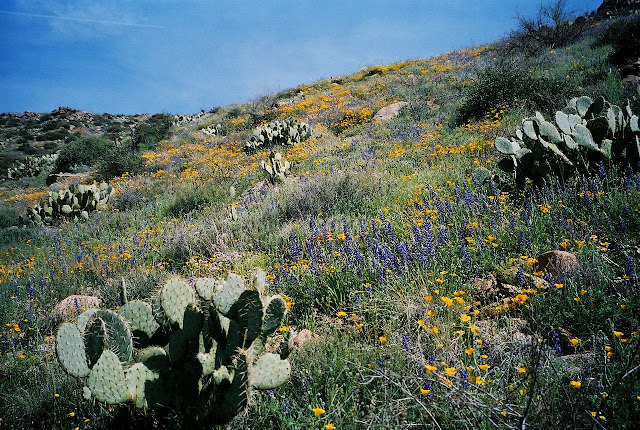 The man who everyday only has to trim the weeds around his bed of flowers can maintain far more discipled focus vis a vis the job at hand compared to the man trying to over billions of (constantly) fluctuating transactions. I generally consider myself a Market Monetarist, but I've thought a lot about these issues and have modified my framework. 1. Regardless of inflation or NGDP expectations or any of that stuff, future short-term interest rates determine today's long-term rates. This principle clarifies a lot of macroeconomic thinking. a. Central bank reactions to various trends in inflation or NGDP. b. The supply and demand curves for real interest rates. 3. If (a) has a constant formula, then QE would raise rates in an efficient market. Let's say that the Fed Funds rate is consistently set based on NGDP. For QE to be successful, it has to raise NGDP, which then increases expected future interest rates. 4. In my experience, mainstream economists have a big issue with equating higher interest rates with higher growth, and lower interest rates with lower growth. Indeed, higher interest rates mean fewer profitable investments if nothing else changes. But investments are evaluated on future cash flows as well as discount factors. If future demand expectations have risen, then higher future cash flows from higher volume offsets the higher discount factor. 5. In contrast to #3 however, the formula by which the Fed will set interest rates has not been constant. The 2009 FOMC statements were filled with constant hand-wringing over "extraordinary measures" and "very low interest rates." The guidance on future rates varied between members, but many saw rates increasing in only a couple of years. Japan also gave precedence to interest rates going up sooner than they should. Indeed, if Fisher or some others were in charge, they would have raised rates long ago. 5. To make things even more complicated, all these points only describe interest rate behavior in a perfectly efficient market. That's like saying stock prices are always given by future cash flows. Real markets respond in jumps and generally stutter-step their way to the real underlying value. EMH seems to always assume that some very rational investor out there always has infinite money and/or infinite ability to short assets. That's never the case, which is why a lot of new liquidity from QE could reduce interest rates even if future rates actually will be higher as a result. Put all this together and you get...a big muddled mess. Ultimately, either MM's or Keynesians with simple IS/LM models grossly oversimplify real-world interest rate dynamics. In the end, interest rates in themselves tell very little about the regular economy and one should never reason from an interest rate change. 1. NGDP level targeting, by all accounts, is an ideal monetary policy target. The big advantage vs. inflation targeting is the capacity of monetary policy to adjust to supply-side disruptions. The ECB raised rates prematurely due to crude oil prices, further depressing EU NGDP and labor markets. In these cases, the higher inflation rate is more than made up by less unemployment. 2. The ability of the central bank is far from done for any developed country. The ultimate tool is somehow charging interest on excess reserves and somehow limiting cash stockpiles. But even before doing that, the Fed could set a target of zero interest rates for Treasuries and Agency MBS instead of buying a set amount, going up in maturity until NGDP forecasts hit their targets. And, you know, stop paying IOR at all. L.J.P. (1980s): Under the influence of the Keynesian dogma, academicians have been trying for too long to analyze interest rates in terms of the supply of, & demand for - money. A “liquidity preference” curve is presumed to exist which represents the supply of money. In this system interest is the cost which must be paid, if lenders are to forgo the advantages of liquidity. All of this has little or nothing to do with the real world, a world in which interest is paid on checking accounts. Interest, as our common sense tells us, is the price of obtaining loan funds, not the price of money. The price of money is the inverse of the price level. If the price of goods & services rises, the “price” of money falls. Interest rates in any given market at any given time are the result of the interaction of all the forces operating through the supply of, & the demand for - loan-funds. While monetary policy is formulated by the Federal Open Market Committee (FOMC), monetary procedures are determined by the “academic” research staffs. 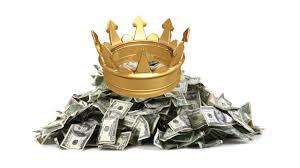 In their world, high interest rates are evidence of “tight money”, low rates of “easy money”; &, a proper rate of growth of the money supply is obtainable by manipulating a policy rate. Consequently, to bring interest rates down the money supply should be expanded & vice versa. The long-term effects of these operations on short-term rates are just the opposite. The banks are able to (& do) expand credit on a multiple basis relative to the additional excess reserves. This “multiplier effect” on the money supply, & money flows, puts additional upward pressure on prices. The long term effect, therefore, is higher inflation rates, & a higher “inflation premium” in both short & long-term interest rates. Higher interest rates consequently are not evidence of “tight money”; rather they are the consequence, over time, of an excessively easy (irresponsible) money policy – money expansion so great that monetary flows (MVt) substantially exceed the rate of expansion in real-output. While interest rates are not determined by the supply of & the demand for money, changes in the volume of money & monetary flows (MVt), can alter rates of inflation &, therefore, the supply of, & the demand for - loan-funds. The significant effects of these monetary developments are long-term & involve an alteration in inflation expectations. Inflation expectations operate principally through the supply side for loan-funds. Specifically, an expectation of higher rates of inflation will cause the supply schedules of loan-funds to decrease. That is to say, lenders will be willing to lend the same amount only at higher rates. Under the assumption of increasing rates of inflation, the supply of loan funds would decrease in both a quantitative and schedule sense. I.e., lenders reduce the volume of loan funds offered in the markets & refuse to loan any particular volume of funds except at higher rates. At the same time supply is decreasing, the demand for loan -funds can be expected to rise as a consequence of the expected massive increases in federal deficits [unless new Treasury issuance is sterilized by increasing the remuneration rate on excess reserve balances]. With supply decreasing & demand increasing (in the schedule sense), there is only one way for interest rates to go – up. Generally both short-term & long-term rates follow the roc in money flows (our means-of-payment money times its transactions rate of turnover). QE2 was the only exception. The roc in MVt bottomed in June. It peaks in March, then flattens for a month - only to resume its downward trend until it finally bottoms in August/Sept. I guess anyone can guess at what secret motives central banks have in pursuing QE, but you do a good job nailing down their stated intent. The fear of hyperinflation in bizarre when inflation is so low. It would help if the media started calling QE an asset swap rather than money printing. Bank lending will understandably fall when banks have low capital and borrowers have poor credit. The contraction in bank lending will reduce the supply of money. Isn't that alone a good enough reason for central banks to replace high quality debt with cash, in the hope that the new cash will be lent out and both maintain money supply and stimulate private investment? Seems like a no-brainer. I think most people can't understand this because they believe that money is wealth, and miss that economic activity is the only real wealth. As you observe, central banks are more successful at propping up money supply than at stimulating private investment, because no matter how low their borrowing costs, businesses still won't invest to increase capacity when demand has stagnated. Which is why we need governments to invest when the private sector saves, and to save when the private sector invests. But good luck teaching Cameron the huge difference between micro and macroeconomics. It is impossible to teach a student who thinks they already know everything. I did mention the fact that QE appears to have inflated commodity prices. You are looking at all this at way too short time scales, like 5 years or less. QE was designed to keep house prices in the US stable, by lowering interest rates to now pretty absurd low levels. In a graph I drew up for the case shiller index around begin of 2009, well before QE, I guesstimated that reversing this policy would start in 2014. I updated it today, because of this post, first since nearly 1 year, and it looked pretty much as expected. The question is, what happens then, and you certainly dont see this in some differential data like inflation derived from TIPS, if their price is distorted heavily by the FED. I have a PhD in physics, I like Feynman, but I dont find your contribution(s) really helpful. The word "patronizing" came to my mind as well. NGDP is a very bad idea. You destroy the anchoring of inflation expectations, and the cost of that might be discussed in tradeoff for within the US, but for Europe that would be pure poison. Real Estate? As in non-paper material? I found no indication on a long term. What I have learned is that banks, QE is about banks, when bankers talk about interest rates they talk about the security's price - the other side of the yield vs. interest. In general it's about getting rid of risk on one hand (credit easing for example) and getting money cheap. Short spikes. The long term trend is something different. Traditional QE invented by the central bank residing in Japan is maybe not the best idea. On the other hand, hard to compare. 250 billions have been created for ECB and provided via a currency SWAP. The motivation is a different one and there are many. I gave up the view to FED being responsible for financing the U.S. it's about financing the world. I think it makes huge difference if you look at U.K.,U.S. or ECB.